We are located in the Southern Chesapeake Bay and include a diverse membership of sailors and ex-sailors who enjoy each others company, whether racing, cruising, socializing, or volunteering. We always welcome new members, so check out our Membership and Join Us pages. We are a non-profit organization funded by our membership and sponsors and guided by an elected Board of Directors consisting of club volunteers. Whether you have a boat now or hope to get one in the future, or are in the retired sailor camp, there is something for you in the club. 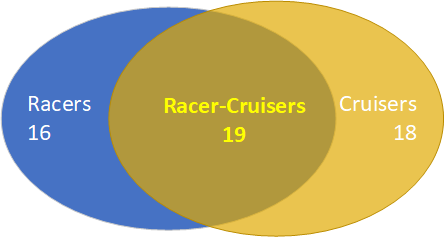 It is evident that we have lots of cruisers in our group, but these numbers do not count the large number of crew-members who race with us but are not members. It probably does not include all the cruisers who are hanging out in Florida or the Bahamas right now. In case you ever wondered, our members are distributed all around Hampton Roads and beyond. 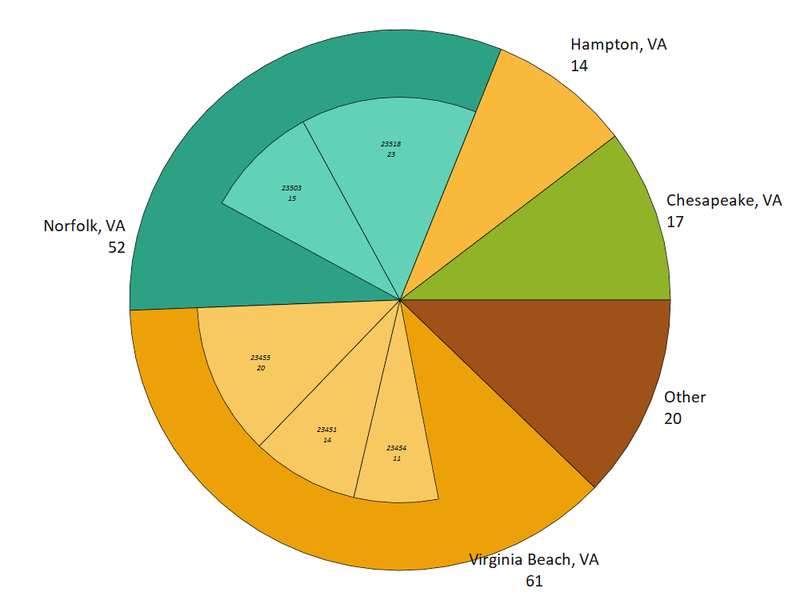 The pie chart below shows the numbers of active members in each city. The inner slices represent most common ZIP codes. Inner sections show largest ZIP codes. “Other” includes smaller densities less than 5 members.